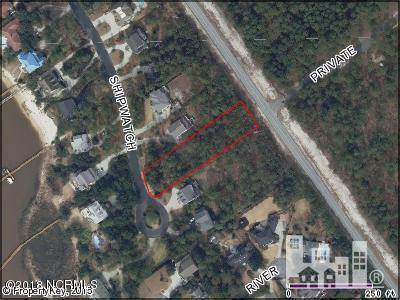 Beautiful .76 acre lot with deeded 30' boat slip in the gated community of Shipwatch! Gorgeous river views and constant breezes await you on this ready to build lot of River Rd. Sellers have recently paid an assessment to rebuild dock. Bring your boat and your builder and get started on your dream home. Sellers have building plans upon request. HOA dues are $700/year and dock maintenance dues are $770/year.